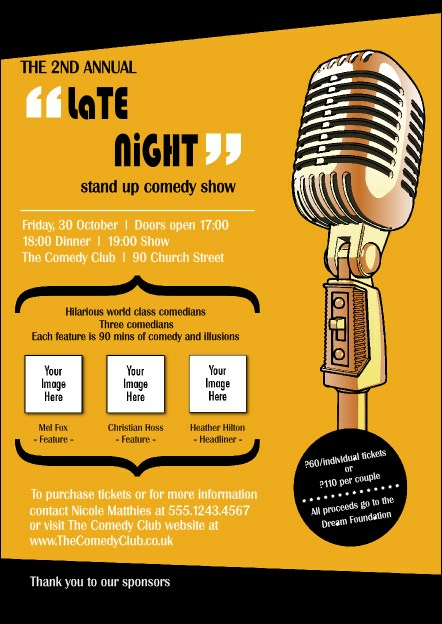 Give your pre-event promotions a stage all their own when you print Comedy Retro Microphone Postcards and send them out to your guest list in advance. Advertise your next gig with Postcards that feature a bright orange and black background design along with the image of an old-fashioned microphone. Get on a roll with your advertising at UK Ticket Printing.